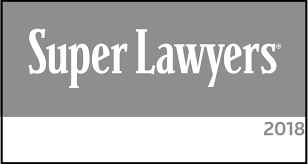 Recently colleagues nominated me as a Super Lawyer for 2018 in the field of criminal defense within the Philadelphia metro area. Obviously, I am humbled and grateful for the selection but can’t stress enough the importance of looking beyond an attorney’s awards and other past accolades. Focus on what the attorney is doing to keep him or herself on top of the latest developments in their area of practice. Our firm, and myself, strive to always provide clients with the best information and advice to assist them with their legal issues. We do this through our regular blog, books, videos, and other informational products. Obviously it’s great to receive awards like “Super Lawyers”, but our firm understands that many of our colleagues and friends will receive the same distinction and that clients and their families expect more from us as professionals. If you are charged with a crime it’s important that you thoroughly research all of your defense options and select an attorney who has not only distinguished himself from the others but who continues to look for ways to improve his practice and himself overall. Our law firm seeks to provide the most up to date information in its primary areas of practice, which includes illegal drug and narcotic defense, DUI/DWI, and illegal gun and firearm defense. In 2017 alone, in addition to some great case results, our firm published over 100 articles in these areas, a new book, and over 10 new videos. In addition, we launched a brand new website and completely changed how we deliver content to our former, current, and prospective clients. A hallmark of our firm is continuous improvement and the understanding that if our firm isn’t improving, it is regressing into mediocrity. I encourage you to take some time to visit our website and let us know how we are doing and how we can improve our level of service. Our firm wishes you and your family a happy 2018 and remember that we are ready to stand with you during life’s most difficult challenges.